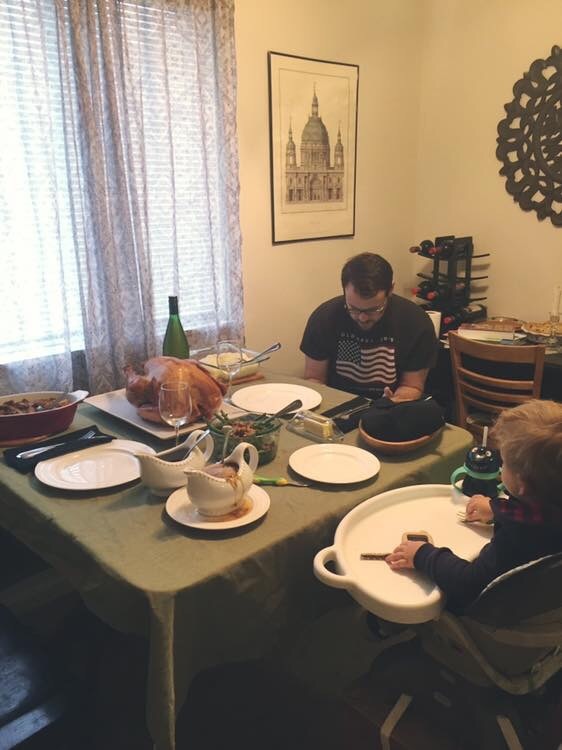 Happy Thanksgiving from our little family to you! Bernhard kept insisting that the turkey was “chich-in”. But that’s all he wanted to eat! i hope all of my readers are having a wonderfully blessed day, be you in the US celebrating or having a normal day in your country. Next > Wordless Wednesday: It’s Beginning to Look a Lot Like Advent!